The State of Wisconsin has specific statutes dedicated to dog bite injuries. 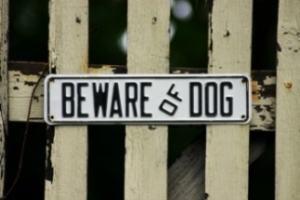 Said statutes claim that a dog owner is strictly liable for damages resulting from a dog bite or attack via their dog on another person, pet, or property. If the dog caused any previous injuries and the owner was aware of said event, the owner may be liable to pay double the amount of damages. If you or your child was bitten by a dog, you should retain the assistance of a Milwaukee dog bite lawyer immediately. At the Law Office of Randall E. Reinhardt, I, Attorney Reinhardt, have the skills needed to successfully represent you during this traumatic time. While you may feel guilty holding a person responsible for your injuries, especially if they are someone you know, you must consider your future. Your injuries may not only require costly medical expenses now, but in the future, as well. Copies of your current medical bills. Photos of your injuries that were taken immediately after your accident. Records from your doctor explaining your injuries and necessary treatment. Personal items that were ruined during the attack. Please contact my firm for the legal assistance you need to obtain a positive outcome for your case. While you may be offered a settlement via the dog owner or their insurance company, it is vital you do not accept said settlement without speaking with a dog bite attorney first. Even if the settlement amount seems fair, there are certain calculations that must be made regarding your current and future medical bills, as well as any pain and suffering. Due to these financial and mental issues, the settlement amount you are offered may not cover the costs you will be expected to pay both now and in the future. If you do not wish to go to court for your case, I can strive to ensure your case is settled without the assistance of a judge and jury. Many dogs are bred to avoid attacking anyone or anything that is larger than the dog itself. However, there are various breeds of dogs that are prone to attack adults and children alike. It is important to note that this does not mean other dog breeds are not able to attack humans. Many attacks by smaller dogs are not often reported due to the minor injuries said bites can cause. Don't run out of time—file your dog bite claim today! Wisconsin law imposes that all dog-related injury claims must be filed within three years of said injury occurring. This means you have three years to file a lawsuit against the person who owned the dog that attacked you. If you do not file your case within the three-year period, your case will most likely be disregarded in a court of law. I offer free case evaluations so you can learn how my firm can help you prior to retaining my assistance. It is my goal to help everyone who seeks my assistance—no matter how complex their personal injury case may seem. Please call my office now to schedule a complimentary consultation or to ask any questions regarding my personal injury services.